Manfried the Man – loudlatinlaughing – Euge! Euge! This cute graphic novel was exactly the palette cleanser I needed after a few brutal days. The concept flips the ownership of cats by people and it’s cats that act like humans and who have tiny men as pets. 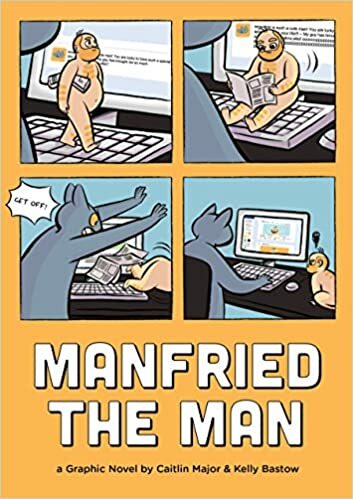 The main cat in this gets ridiculed for being a man cat (kind of like a cat person), his co-workers yawn at all his stories about his man. He does silly things like pile stuff on top of his sleeping man and try to walk him in a harness. Eventually he gets fired for not doing his call center job well, and his man runs away from an open window. The cute “lost man” posters end up netting the cat a freelance gig and he’s reunited with his man, so happily ever after.